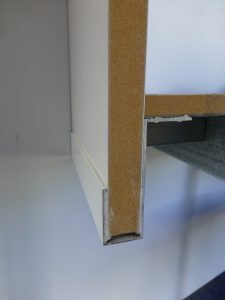 DIY has designed unique panel joiners to attach the composite panels to each other and to the chassis or frame of your project. So in addition to the superior strength characteristics of the Composite Panels themselves, our panel joiners are used to create a ‘monocoque structure’ such that the shell shares the ‘loads’ and becomes an extension of the chassis. The result is a product of ‘unbelievable’ strength. 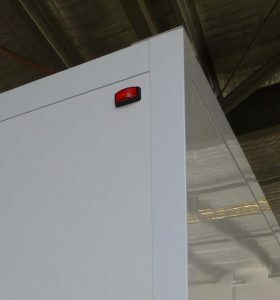 An added bonus is the presence of an aluminium fixing point along each panel, both on the interior – for overhead cabinets etc and the exterior – for awning legs etc. Each design includes ‘stops’ so when you assemble the panels you know when they are ‘home’ as there is space for excess adhesive to go, and ‘nibs’ to maintain the depth of adhesive in the joiner. Panel Joiner – DIY Floor 29 is designed to support the side walls in a very robust way. This joiner is initially attached to the outrigger system of your chassis, and then when the composite floor panel is installed it is trapped between the floor and the outrigger system creating a very strong joint. 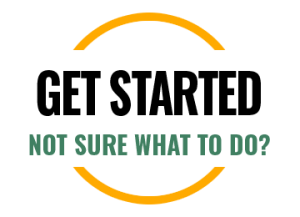 DIY Tip – Ensure your chassis out-rigger system, and rear and front cross members are 3mm LOWER than your chassis rails and other cross members. 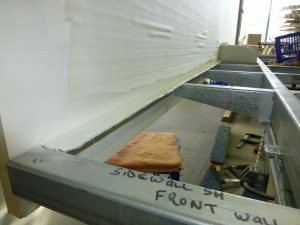 This will ensure that after you have installed the LHS and RHS walls, the floor will be glued to all chassis rails, cross members and outriggers in the same horizontal plane. Panel Joiner DIY Wall 29-29 is used for joining two 29mm panels together – eg rear wall and side wall or side wall and roof panel. DIY Tip – Note this joiner can be installed in 2 different positions. When supporting the roof use the joiner such that the roof partly overhangs the wall panel (as in this image). To be consistent front and rear walls are also best if they ‘overhang’ the side walls. 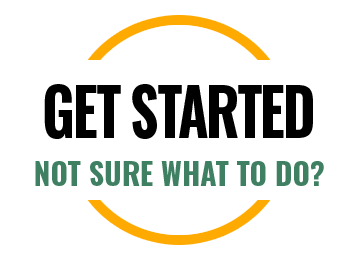 ENSURE you have the joiner locations correct before calculating your composite panel dimensions. Panel Joiner DIY Roof 40-29 is used for joining a 40mm panel (usually the roof) to a 29mm wall panel. A neat finish is achieved when panel joiners are cut square rather than with a 45 degree mitre (see image). 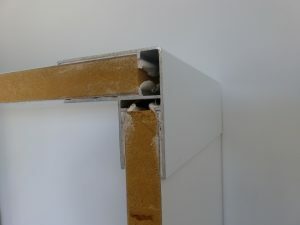 The rear wall panel joiners then go the full height of the trailer and the top can then be sealed with the simple corner caps . Where do I start with my design ideas?